Abstract: Feature extraction and its selection are one of the most important steps in the SAR sea ice classification. The key to improve the classification accuracy is to select effective features and to construct the feature space that effectively expresses the type of ground objects. For this purpose, a full polarimetric SAR sea ice classification algorithm based on target decomposition features is proposed in this paper. First of all, multilook process and filter operation are preformed to full-pol SAR data and result in coherency matrix. Secondly, in order to construct the feature space, target decomposition on coherency matrix is employed to extract related scattering feature parameters. Thirdly, after analysis of statistical correlation about extracting features, PCA feature reduction operation is carried out on those higher relevant features for the purpose of optimizing the combination of features. Finally, a BP neural network-based classification algorithm is designed to classify sea ice, and the optimization of the feature vector as input layer, the class of sea ice as output layer. 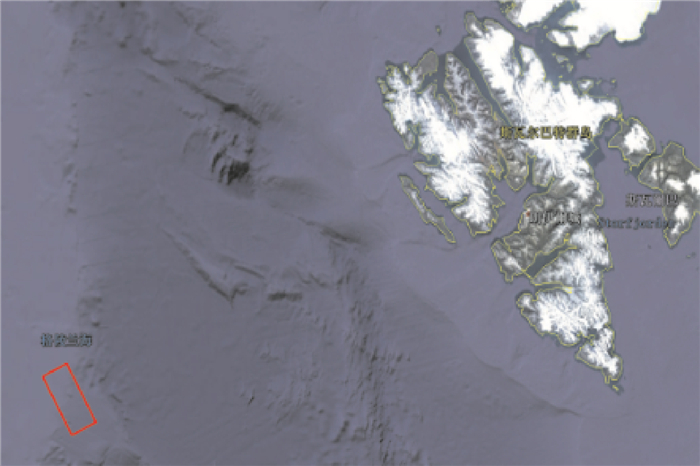 In experiment, the central Greenland area is regard as the research area and L-band ALOS PALSAR full polarimetric data are utilized as experimental data. Through the qualitative and quantitative analysis for the proposed and comparing algorithms, it can be found that the feature space built up can efficiently distinguish various sea ices. Furthermore, by analyzing the performance of sea ice classification results with different feature combination, we can conclude that the features of the target decomposition based on scattering model can provide a better capability to identify water and sea ices compared to H/α/A decomposition based on eigenvalue. 杨磊, 常晓涛, 郭金运, 等. ENVISAT雷达高度计后向散射系数的极区海冰分布特性[J]. 测绘学报, 2013, 42(5): 676–681. YANG Lei, CHANG Xiaotao, GUO Jinyun, et al. Research on Distribution Characteristics of Polar Sea Ice by ENVISAT Altimetry Backscatter Coefficient[J]. Acta Geodaetica et Cartographica Sinica, 2013, 42(5): 676–681. 沈杨, 郎文辉, 吴杰, 等. 结合MRF与ν-SVM的SAR海冰图像分类[J]. 遥感学报, 2015, 19(5): 844–855. SHEN Yang, LANG Wenhui, WU Jie, et al. Combining MRF and ν-SVM for SAR Sea Ice Image Classification[J]. Journal of Remote Sensing, 2015, 19(5): 844–855. 郎丰铠, 杨杰, 赵伶俐, 等. 基于Freeman散射熵和各向异性度的极化SAR影像分类算法研究[J]. 测绘学报, 2012, 41(4): 556–562. LANG Fengkai, YANG Jie, ZHAO Lingli, et al. 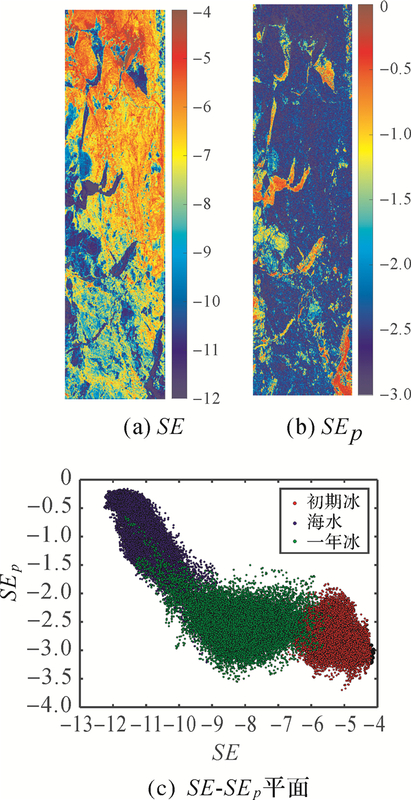 Polarimetric SAR Data Classification with Freeman Entropy and Anisotropy Analysis[J]. Acta Geodaetica et Cartographica Sinica, 2012, 41(4): 556–562. LEE J S, POTTIER E. Polarimetric Radar Imaging:From Basics to Applications[M]. Boca Raton: CRC Press, 2009. 张晰, 张杰, 孟俊敏, 等. 基于极化散射特征的极化合成孔径雷达海冰分类方法研究:以渤海海冰分类为例[J]. 海洋学报, 2013, 35(5): 95–101. SINGHA S. Arctic Sea Ice Characterization Using Fully Polarimetric Air-borne and Space-borne Synthetic Aperture Radar[C]//Proceedings of CIRFA Seminar. Tromsö, Norway: CIRFA, 2017. MOEN M A N, FERRO-FAMIL L, DOULGERIS A P, et al. Polarimetric Decomposition Analysis of Sea Ice Data[C]//Proceedings of POLinSAR 2013 Workshop. Frascati, Italy: [s.n. ], 2013. ELTOFT T, DOULGERIS A P, GRAHN J. Model-based Polarimetric Decomposition of Arctic Sea Ice[C]//Proceedings of EUSAR 2014; 10th European Conference on Synthetic Aperture Radar. Berlin, Germany: IEEE, 2014. ARIENZO A. Physical and Statistical Based Decomposition of Polarimetric Synthetic Aperture Radar Images of Arctic Seaice[D]. Tromso: The Arctic University of Norway, 2015. MORIO J, REFREGIER P, GOUDAIL F, et al. Application of Information Theory Measures to Polarimetric and Interferometric SAR Images[C]//Proceedings of Physics in Signal and Image Processing 2007. Mulhounse, France: [s.n. ], 2007.